A car that’s exciting to drive and has a stylish interior offers a great drive around Highland Beach and Hillsmere Shores. The 2018 MINI Cooper S Clubman provides you with both of those in a classic compact design. MINI of Annapolis put together this 2018 MINI Cooper S Clubman review to show you what kind of driving experience this compact car can offer you. The 2018 MINI Cooper S Clubman has a racing inspired engine under the hood to provide you with a fun, sporty drive. It runs on a 2.0L 4-cylinder MINI TwinPower Turbo Engine with high precision direct fuel injection and Turbo Charging. This enables it to get up to 189 horsepower and 207 lb-ft of torque. It maximizes its output with VALVETRONIC and Dual Vanos technology working alongside it. At only 70.9 inches wide and 56.7 inches high, it has a streamlined design that gets great handling and can go from 0 to 60 MPG in just 6.9 seconds. The standard transmission to go along with this powertrain is a 6-speed manual, but an 8-speed automatic transmission is available as well. Whether you choose a manual or automatic transmission, you’ll be able to cruise in this fun car for longer with its 13.2-gallon fuel tank. 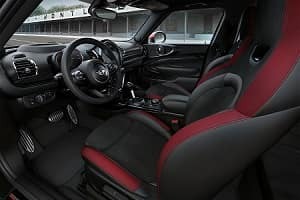 Inside the 2018 MINI Cooper S Clubman you’ll find seating for five people and more space than meets the eye, plus easy access to the seating and cargo areas with six doors. The driver and front passenger get a spacious 41.4 inches of front legroom and 40.2 inches of front headroom. In the back seat there’s 34.3 inches of rear legroom and 38 inches of rear headroom. When you have three passengers in the backseat they’ll still be comfortable with plenty of room across. There’s 52.8 inches of rear shoulder room. Whichever row you’re sitting in, you’ll be riding in style with a choice between several luxurious leather trim seating options. Behind the second row there’s a roomy trunk space with 17.5 cubic feet of cargo room. To increase that and carry more, fold down the 40/20/40-split-folding rear seats to get up to 47.9 cubic feet of storage room. There’s easy access when you’re loading and unloading too with the split rear doors and an available power tailgate that you can open just by holding your foot out. In addition to giving you a stylish and sporty ride, the 2018 MINI Cooper S Clubman will keep you informed and entertained during your drive. 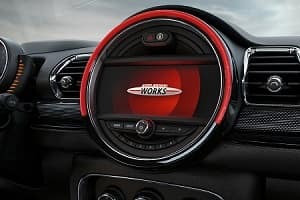 There’s a 6.5-inch multifunction center display on your dashboard that’s complete with MINI Connected app integration. The touchscreen navigation system will always have you on the best path with real-time traffic updates. You’ll also have some great entertainment options like SiriusXM® Satellite Radio and Apple CarPlay™. The whole is system is also Bluetooth® compatible to stream audio or make hands-free phone calls. Whichever app you’re streaming will come through with great sound quality thanks to the available Harman Kardon® premium sound system. With an engine and drivetrain built to give you sporty performance, a spacious and stylish interior, and great infotainment options, the 2018 MINI Cooper S Clubman is a great choice for cruising around Highland Beach and Hillsmere Shores. 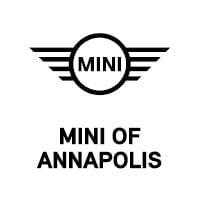 Visit MINI of Annapolis to learn more about this 2018 MINI Cooper S Clubman review and take a test drive.